Homes are where we want to live, not what we want to work on. We know you are busy enjoying life and your family so let us manage the solutions to keep your home in shape. Midlo Home Solutions will respond to your calls, emails and requests for estimates. We are focused on the local community because we are your neighbor and want to continue to be your preferred handyman service provider. If you have handyman needs, please consider give Midlo Home Solutions a call at 804-601-6919. We are an affordable remodeling contractor that offers exceptional work. We can do your remodel with any sized budget. Almost all of our work is done by our own employees so we are more accountable than other contractors who rely solely on sub-contractors. We also offer an unbelievable 10% off any written remodel estimate you can provide us. You will receive similar or better products. About the Profile photo- I had some time on my hands and decided to build a new chicken coop using almost all salvaged materials. My wife calls it the "Chick Mahal". In addition to chicken coops, Joseph M. Gregory, General Contractor, has proudly served the Central VA area since 1976. Our contracting services include kitchen & bathroom remodeling, additions (design-build), deck & patio construction, siding repairs or replacement, window & door replacement, and general repairs. Also, I will be on-site daily supervising and performing work personally. 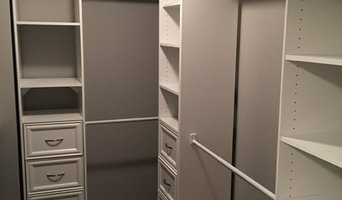 No matter what type of home improvement project you're considering you can count on our expert team to create a custom plan that suits your unique needs and personal style. When it comes to the job our highly trained professionals work with the greatest attention to detail leaving you with a finished product that you're proud of. With over 30 years of experience you know you're getting expertise unmatched in our industry. Let us provide you with a free consultation on how we can transform your home into a place that's the envy of everyone. Hawks Renovations is a family owned and operated home remodeling company. We have been serving the Richmond area since 2009. We specialize in working directly with homeowners who love their home! We have narrowed our geographic scope and so we work in Henrico, Hanover, and the neared parts of Richmond north of the river in an effort to better service our clients and be more efficient. Please browse our gallery of past projects for inspiration for your next project. We will partner with you to make your next remodeling dream come true! Owned by Michael J. Poskey, John P. Black, Inc. is a design-build construction and property management company. Our objective is to deliver quality work with a commitment to our customers of being: responsive, courteous, on time, and most importantly fairly-priced. Our professional painting and remodeling team in Richmond consists of painters, carpenters, managers and office personnel. The Carpentry and Painting Experts, LLC (aka Fix and Paint) was founded in the very beginning of the 21st century. Yes, it is only 13 years ago, but the reputation that we have established for everything from simple handyman projects to full home remodels speaks for itself. Please, view our credentials: <a rel="nofollow" target="_blank" href="http://s3.amazonaws.com/AGepubs/The_Carpentry__Painting_Experts_Reviews/index.html#/1/">http://s3.amazonaws.com/AGepubs/The_Carpentry__Painting_Experts_Reviews/index.html#/1/</a> The company is 100% family owned and operated. The two owners George(father) and Alex(son) are equal partners in the business. We are experts in remodeling and painting, but we are businessmen first. We decided to build a successful painting and repairs business, because we realized that there is a niche that could use a lot of improvement. We had the technical knowledge from our professional experience, and the right business knowledge from our education. Our business model is influenced by our family values, integrity, honesty and professional attitude. The Carpentry and Painting Experts is a family owned and operated business. We have been serving the Richmond Area for a number of years and we are your neighbor. We see our clients in the store, restaurant or at the coffee shop, almost every day and we are proud to say “Hi”, because we are proud of the work that we did for this customer. 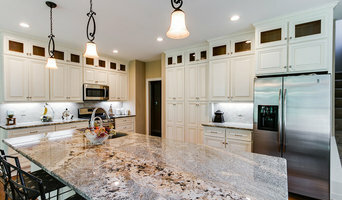 Case Remodeling in Chester, Va. is an experienced home remodeling company specializing in kitchens and bathrooms. We performs a full range of handyman services plus build additions such as garages and sun rooms. No job is too big or too small! 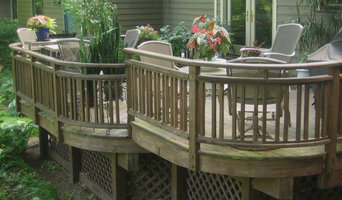 We are a Class A General Contractor specializing in additions, renovations, screen porches and decks. We also build custom new homes. We hear all too often that life is too busy and your home is too valuable to keep up with on your own. That is where we come in. Handyman Matters can handle simple home projects and repairs, as well as larger, more complex improvement projects. We do it all! Our Professional Craftsmen are skilled and experienced, assuring you of a job well done. Our commitment to you, the customer, is at the core of who we are. We know how important your home is to you and we want to be your home ally. Our Pledge to you is simple. We will treat your home “like it’s our home.” We are a full service home repair and improvement contractor that specializes in solving problems and figuring out the best solution to get the job done. We pride ourselves on providing options so that the customer is in control. Whether it's a small job like hanging a light fixture to a larger job like adding a tile shower to a full renovation like a kitchen or bathroom, we're the one to call. Wayland Barns and Buildings specializes in detached storage sheds, man caves, barns, in-law suites and anything you vision your detached space to be. 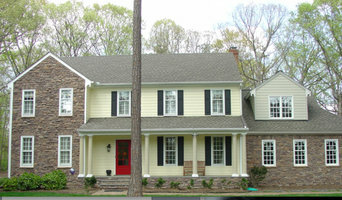 Fresh Start Renovation LLC is a general contractor servicing the Richmond, VA area. Describing Balducci Exteriors, like any other related Balducci company, can be summed up in a promise, “Customer First”. We believe in doing everything we can to deliver on that promise. To us, it’s clear, if we listen, treat you with the highest respect, help you make design and material choices that are right for you, exceed your expectations preforming the work, keep you informed and provide an exceptional overall experience, we’ll have a customer for life. Our speciality areas of focus are Roofing repairs and Re-roofs, siding of all sorts, window replacement and outdoor living spaces. We service all of Richmond and the surrounding counties of Henrico, Hanover, Chesterfield, Midlothian, Powhatan, Chester and the Tri-Cities. We are a locally owned and operated company with over 22 years of industry experience. We value honesty and integrity in all aspects of our business. We offer a variety of handyman services that are custom to each individual project. We pride ourselves on the quality of our work as well as our commitment to outstanding results. We look forward to building lasting relationships with our clients and guarantee your satisfaction! Some companies are only focused on getting the job done, not spending any time getting to know the client or answering questions . At Built Wright Home Improvement, LLC we believe that working alongside the client to keep them fully informed is just as important as the actual construction or renovation of their home. We focus on the individual and unique needs of every client, making sure that by the time your job is done, your dream renovation has become a reality. Built Wright Home Improvement, LLC serves clients in Williamsburg, Yorktown, Newport News, Hampton, New Kent, and West Point with a wide variety of home improvement services. For years, we have consistently yielded happy customers, unfailing enhancements to homes, superior integrity and incomparable customer service. Fully licensed and insured, your improvement investment is assured to be completed correctly the first time. At Built Wright Home Improvement, it is our mission to always provide consistent and quality workmanship and customer satisfaction to each and every one of our clients. We are committed to executing every project, large or small, with a level of accuracy and professionalism that is unparalleled. In addition, we believe that one of the most important aspects of customer service is honesty, so we are dedicated to promoting a sense of lasting trust between ourselves and our family of clients. Through a straightforward approach to business and an eye toward the future, we promise to provide exceptional services and products that enhance the function and beauty of our customers’ assets on multiple levels.